WE THROW THE CRAZIEST WEDDING DANCE PARTIES YOU’VE EVER SEEN. We're not a traditional "wedding" band. 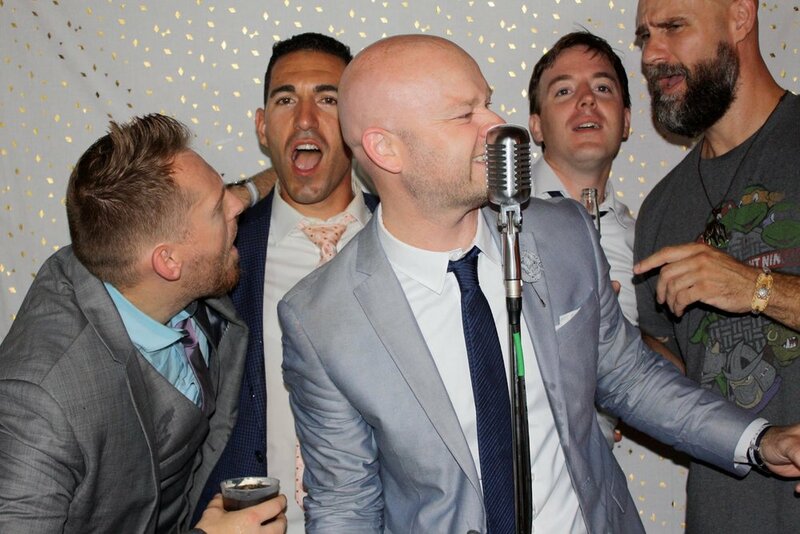 We're a rock band that happens to do weddings. And they are, in a word, incredible. We specialize in epic dance hits, unforgettable singalongs, and everything in between. Book us for your event and you'll get our award-winning Boston Wedding Band & DJ combo, PLUS our professional sound and stage lighting system at one simple rate, with absolutely NO overtime charges. In 2018, we were named to the Knot's Best of Weddings Hall of Fame, thanks to over 100+ 5-star reviews from real BearFight wedding couples. We go out of our way to make your day special, with music from genres and artists you love, and a dance party our couples never forget. 60s, 70s, 80s, 90s, 2000s, rock, pop, hip hop, dance, country, classic rock...you name it, we play it. Yes we do weddings. Yes they're incredible. No horns, no costumes, no cheesy keyboards, no gimmicks. Just fun, high-energy dance songs and epic sing-alongs at a price that fits your budget. We provide non-stop entertainment for your entire event featuring a Live Band AND a professional DJ. We've earned top honors with The Knot and Wedding Wire for nearly a decade, and have performed over 200 weddings all over New England and beyond - from Cape Cod weddings and Martha's Vineyard weddings to New Hampshire, Vermont, Maine, New York, Rhode Island, Connecticut, and more. Our innovative, industry-leading wedding band and DJ combo gives you total flexibility, from ceremony and cocktail musicians to a bumping dance party you and your guests will talk about for years to come. If you want to make your biggest day your best day, we're ready to throw the party.